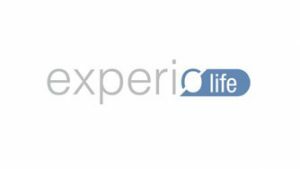 Experio Summer works with Clifton College, Bromsgrove School and University of San Diego to offer English language residential summer camps for Young Learners (8-12 yrs) and Teenagers (13-17 yrs). Experio High School is for international students aged 11-17 who want to experience at first hand the UK or US school systems. Our partners at Ardmore Language Schools specialise in Full School Integration (1-7 weeks) as well as longer full-time academic stays at UK high schools (term, semester, year). Experio University is working with Study Group Higher Education to offer some carefully selected pathway programmes which will enable international school leavers to enter a recognised UK university with a conditional offer for a first degree or Master’s course of their choice. Experio Work partners with Birkbeck University of London, London South Bank University, University of San Diego to offer a range of Study & Work Programmes in London and San Diego for students and young adults (18+). Our partner in London for professional internships is Anglo Educational Services. Experio Tours is a company specialising in tailor-made cultural tours of the UK. One of our most popular tours takes the parents of our Experio Summer students on a 15-day tour around England, Wales and Scotland while their children enjoy one of our international summer camps.